The son of Trick-or-Treat for UNICEF founders Clyde and Mary Emma Allison tells how the legendary campaign was born, and how it lives on. My parents’ lifelong mission was to be warriors of love for children. My father, Clyde Allison, was a Presbyterian pastor, and my mother, Mary Emma Allison, was a teacher. Throughout their work was threaded the notion that empathy could be built into children's daily lives. It was my parent’s idea in 1947 to ask children to trick-or-treat for charity. That Halloween, my mom looked at the swarms of children collecting candy for themselves and made a plea to my dad: “How do we make this into something good?” My dad’s reply was, “We can.” Starting in 1948, my parents worked with the Church World Service to get kids involved in helping children in war-torn Europe. Rather than coins, the kids collected worn-out shoes that could be repaired and sent to children living in refugee camps. In 1949, the Church World Service told my father they didn't need him to collect any more supplies. But my parents were devoted to their mission of teaching children to be global citizens and messengers of peace. They had already invested two years in getting American kids to actively help make the world a better place — and they were determined to continue. So my parents searched for another charitable organization to partner with. "My father was the son of a missionary, a professor of religion at the Chinese-run Presbyterian Seminary in Tengxian. He grew up speaking fluent Mandarin and playing with the local children. He knew firsthand the worth of every child, whatever their culture." Since 1946, Eleanor Roosevelt, a U.N. ambassador at the time, had been encouraging her wealthy friends to arrange fundraising events for UNICEF because the governments of the member nations did not provide adequate support. One of those friends, Gertrude Ely, organized a parade featuring children dancing in colorful traditional costumes behind a real, live dairy cow. Signs asked for donations to help UNICEF provide powdered milk for starving children in foreign lands. My mom stopped dead in her tracks: An international children's fund? This was exactly what they were looking for! She found Mrs. Ely at the head of the parade and came away with Mrs. Roosevelt's telephone number. 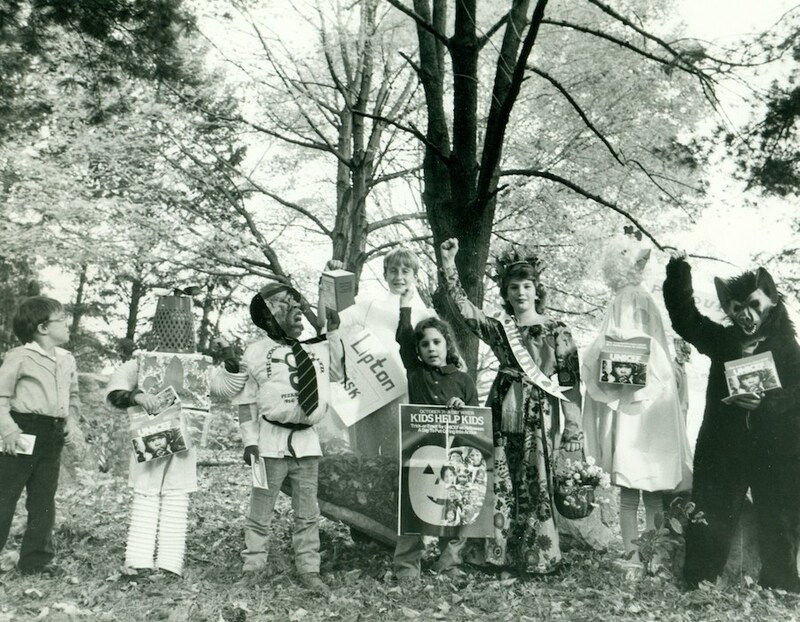 A meeting was arranged at U.N. headquarters, and Trick or Treat for UNICEF was born. 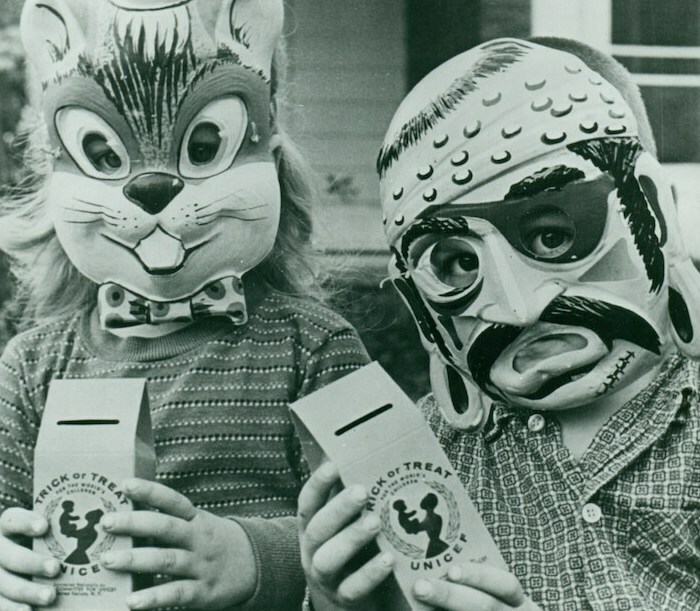 The proceeds of that first Trick-or-Treat for UNICEF campaign in 1950 went directly to UNICEF, so my parents did not know if the effort was successful or a bust. The answer came as Thanksgiving approached, a phone call from the office of Mrs Roosevelt: Trick-or-Treat for UNICEF, she told us, had raised more funds for UNICEF than any other event, ever. "My mom grew up in southern New Jersey, the only child of a farmer and a well-to-do woman who had been treasurer of a glass company. Unfortunately, her mom stressed that there were some children, like those of the town's village immigrants, who were not to be played with. But my mom wouldn't buy it. Every child had worth in her eyes." The rest is history — but not relegated to history. Clyde and Mary Emma Allison’s work of teaching children to help others continues, and not just on Halloween. My wife, Diane, and I now live in Brooklyn, where we follow through with my parents’ mission every day. We visit schools with Brooklyn for Peace to help children understand that there are kids their age growing up in dire poverty and in refugee camps who are just as smart and funny as they are. Kids who are fighting for survival every day. And all of us can help. We continue to work with UNICEF, because, as Diane says, “It inspires kids to do something big.” When we go into a school and tell the students that kids have helped other kids by raising nearly $177 million dollars so far, they are immediately invested in this idea of kid power — in the knowledge that they themselves have the power to do good. And an important part of our message to kids, whether they are in high school or preschool, is that UNICEF means being a citizen of the world. Diane and I are always looking for new and creative ways to contribute to the peace of the world’s children. The three-year-old UNICEF Kid Power program, in which children’s activity can convert to funding for ready-to-use therapeutic food (RUTF) that saves the lives of severely malnourished children across the globe, is an idea that resonates with us. Because deep in the heart of my parents’ mission is my mother’s stubborn insistence that children are capable of a lot more than just begging for treats — they have the capacity and the heart and the desire to make a difference.